I love apples as you can tell. There so good for you and so filling, so full of fiber. I needed to have some for my breakfast to get me going for the day! 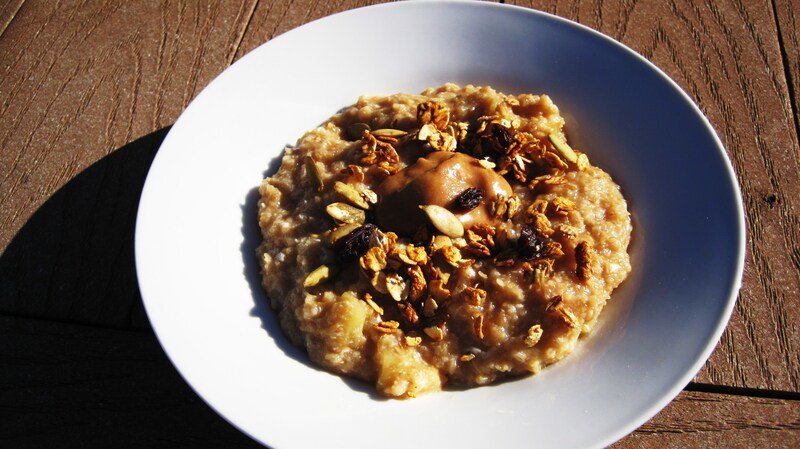 So I made this simple, fast and delicious oatmeal. 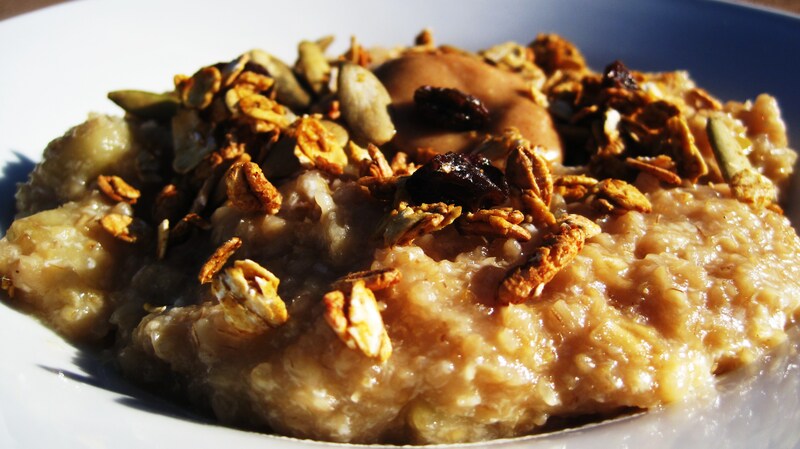 I used Coaches Oats for my oatmeal, first time I ever had it and you know what, it was good! Great texture and very creamy! Definitely will buy again! I added Cinnamon Apple Peanut Butter and Pumpkin Granola. Hope you made some too!! The Peanut Butter is to die for! In a medium pot add your Apple Cider and Apple. Cook until it comes to a full boil. Add your Oats and cook for 4 minutes, stirring constantly. 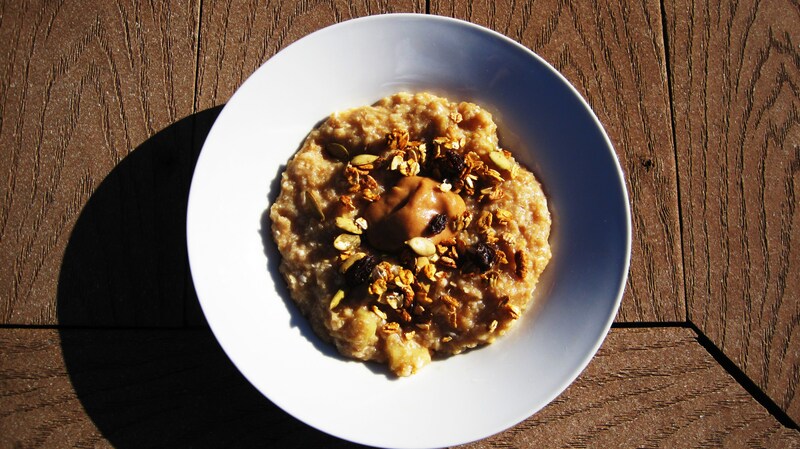 Last minute of cooking at your egg white and stir for one minute or until oatmeal is creamy. 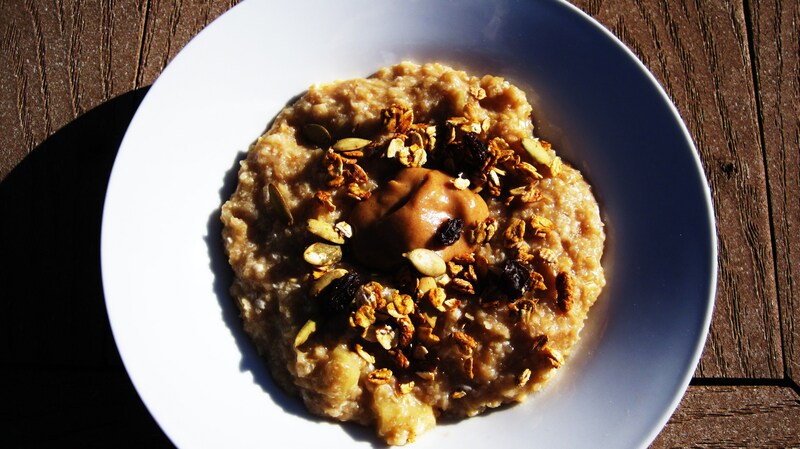 Top with your Peanut Butter and Granola!